This time last year I was in a dark and aimless space. The previous year before (2014) had left off on a rather horrendous note and honestly, aside from relief at seeing the back of it, I mostly felt mountains of trepidation for the 12 months panned out right in front of me. . The thought of the blank canvas that was 2015 filled me with dread. Lots of dread. This exact time last year I was a big bowl of “fed-up” with a hefty side portion of “what’s really the point of it all?”. I was confused about everything and had a gazillion questions wafting around in my brain like: Where was I supposed to be in life (literally and figuratively speaking)? What was my great gift to mankind? What was I good at? What and whom was I meant to be concentrating my efforts on? As I sit here writing this post to you, I realise that each one of those answers was answered over the past 12 months, in some weird and wonderfully creative ways (that I’ve mentioned in previous posts). I must also admit that a lot of those questions had to be answered more than once because I’m bull-headed like that and didn’t like some of the responses God was giving me, so he had to get quite firm with me, lol. It’s also worth noting that none of these answers came easily or ore-packaged in the form I wanted them to arrive in, but come forth they did. One of the catalysts to getting my questions answered came about when I actively decided to stop throwing pity parties for myself, and just get on with life. I realised that I didn’t only need to “show up” but I also needed to show up for the right things. It’s only when I stopped holding on to people, scenarios and circumstances that were no longer serving me and gave in to the free-fall and general awkwardness of making new choices and decisions that things got super interesting and exciting. All my questions were answered (and still continue to be answered) when I got more intentional about every aspect of my life and surrendered those intentions to my Maker. I became intentional about actively seeking out God and having a strong relationship with Him/Her. I became more intentional about the words I spoke over and about myself. 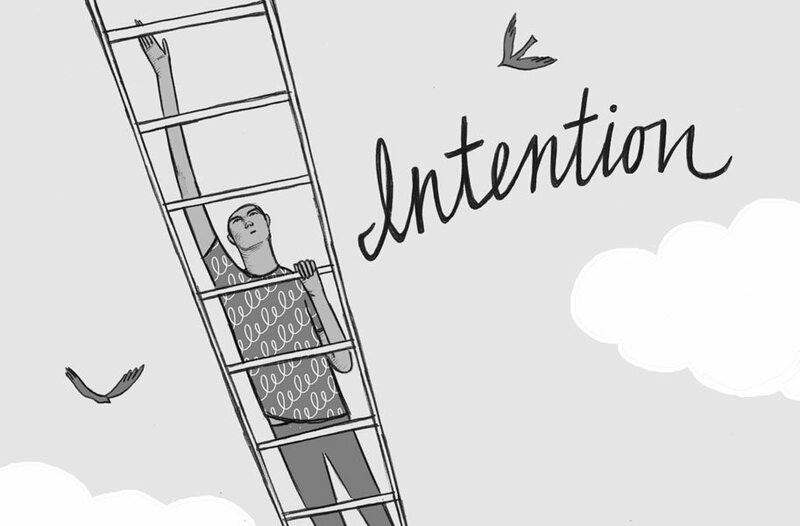 I became more intentional about creating and maintaining healthy and necessary boundaries and relationships within my life and I definitely became more intentional about whose friendship, support and company I sought out or even entertained. Even though the start of this year has me feeling the exact opposite of what I felt, this time last year – I am super excited and expectant about the next 12 months and have a rather impressive list of intentions of what I want to achieve, learn and create in 2016, I know that like any other year,this one will also be filled with its fair share of challenges, disappointment, confusion and general angst. It’s so easy to get caught up in the “Maproblems ese disappear” kinda hype that comes with the start of a new year, but the truth of the matter is that it’s the same old you who pitches up at the beginning of a calendar year – a beautiful work in progress who’s on an ongoing quest of personal growth and purpose. 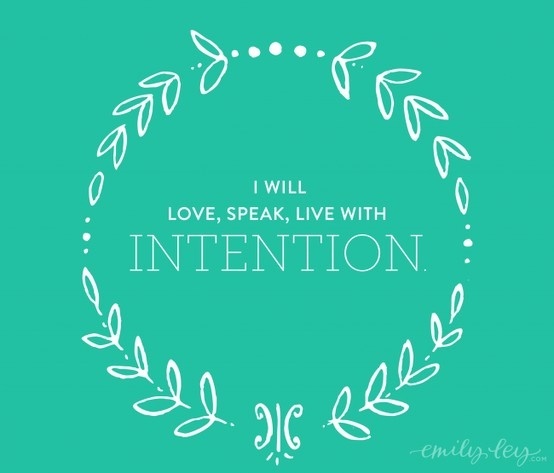 So here’s to being more intentional about how we live and love in 2016! May it be an exciting, generous, character building and highly rewarding 362 days ( and counting)! Disclaimer: This wasn’t the original blog post I had intended on kicking off the New Year with. I had wanted to go with something a bit wittier and upbeat. However, this niggling feeling to just put finger-to-keyboard and write this out won the day and hopefully it resonated with one or two of you out there. Happy “First Monday” of the New Year, chickens! Here’s hoping it has been a memorable one thus far. Great outlook. All the best for 2016! Yes. intentional living this year. thank you for changing the “original” post. Previous PostMhoroi Mbudzi! | Hello November! Next PostOnly An Alien Invasion Will Eliminate Racism.